Happy New Year everyone! We are now well into January and 2009 has started fast. Social search and marketing is becoming a bigger buzzword with every month that passes right now. The impact of social marketing will begin to become more evident as 2009 progresses. 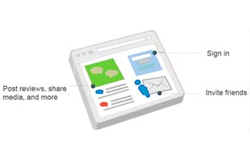 TechWyse recently released Google Friend Connect on its Rise To The Top blog in determining the impact of social utilities on mainstream blogs. Predictions are still running rampant that Yahoo! will be purchased this year by Microsoft. This will mean that Microsoft will hold more than 20% of the search traffic. Google Chrome is predicted to take a 10% market share this year alone and will soon threaten Firefox as the #2 browser in the world. But Chrome still has issues. Google did a PageRank Update on New Years Eve. Have you used Twitter yet? Its a simple little tool for updating your status or speaking to the world with small, bite sized comments. Kinda fun. Here is the TechWyse Twitter page. Google’s market share held strong at 81.26% followed by Yahoo! at 10.43% and Bing/Live at 4.55%. 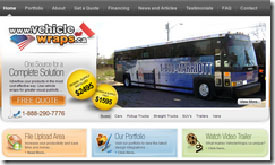 Vehicle Wraps is a leader in Canada for design and install of custom car wraps. Based in Toronto, Canada, take a look at some of the work they have done and you will see what we mean. The challenge with this site was to effectively showcase the quality work they have done immediately so that visitors would stay longer to learn more. 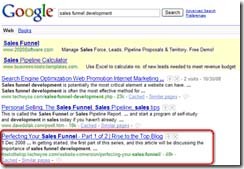 The sales funnel development process was especially important in the case of this site. The result was a decision to use quick flash cuts to showcase the quality of work and follow it with ‘price bubbles’ to illustrate the competitive pricing. This is an SEO friendly website. 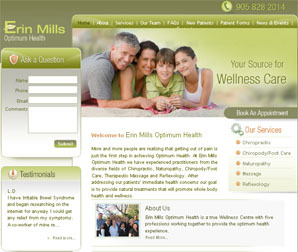 Erin Mills Health is a wellness clinic that has operated in Mississauga Ontario since 1977. Dr. Peever came to us after recently being made aware of the value of search engine marketing and conversion friendly website design. This is the companies first website. The approach we took to this design was offering the visitor a true impression of the experience in the clinic and making the site convert leads. The visual used is a typical family, and a lead form in the top banner. We also marked the main services in a prevalent area. Earth tones were used as the color choice to build the sense of trust. This was a thoroughly enjoyable project to work on for the team! Hopeful notes and concerns! I am damn sure search engine marketing is the only return assuring channel of advertising for global marketers. December activities has shown a great move in search marketing and the days ahead in the year 2009 is going to see a plethora of new useful developments in this field. Search engine marketing has opened the sluice gates of unparalleled opportunity to searchers worldwide. Yes DJ you’re right. December 2008 has witnessed a flurry of activity in the search marketing scene. This would surely be a pointer towards hopeful days ahead amid unpredictable economic situation. Studies vindicate that the search merchandising sphere is continuing to be a golden goose for search marketers in the coming months.